Your home is a huge investment and you want to keep it looking great. Whether you’re ripping out something old or adding additional elements, DeCook Landscaping is here to help you get the most out of your outdoor space. 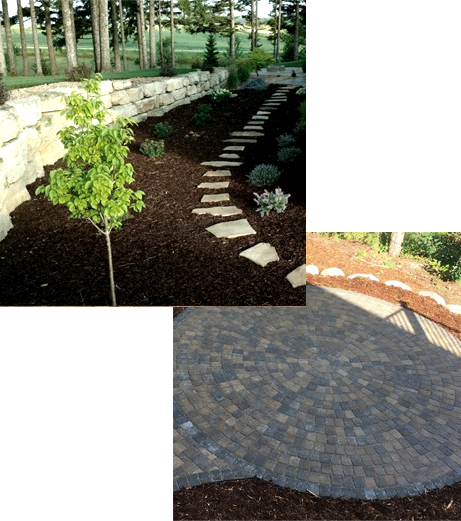 We specialize in sustainable residential landscape design and installation in Rochester, MN and surrounding communities. As full-service landscapers, we have all the necessary tools and knowledge of Midwestern terrain and plantings to make sure your landscaping looks its best throughout the season so you get the most out of it. Custom Landscaping Designed for You! Our landscaping services don’t use a one-size-fits-all approach. You won’t find the same landscape design in a neighbor’s yard a few streets over. Each of our landscapers works with the natural elements of your property to create a truly customized design that’ll last for years. If you’re looking to improve a new build, DeCook has a full staff of experienced landscapers and plant specialists that get the job done quickly. We understand the unique needs of your property and can work with you by suggesting plantings and landscape solutions that will not only beautify your property but last for years to come. With a full fleet of landscaping equipment and all the right tools at the ready, your project won’t be delayed while waiting for a truck or earth mover to get on site to complete the job. Our project managers are always able to keep you up-to-date on the progress of your project and consider you a partner. We can help with projects of any scope and size in the greater Rochester, MN, area and surrounding communities. We offer a free no-obligation quote for your landscaping project and we will work with your budget. Get in touch soon to get on our calendar during the desirable spring to fall months for your lawn or landscaping project. Contact us online or call our friendly staff at (507) 361-1595 today.